If you’re searching for a new pickup to improve your productivity, Ford and Chevy commercial trucks are great models to consider. Both brands provide a lineup that’s reliable, available with high-tech towing features, and plenty capable. Find out whether Ford or Chevy meets your daily needs the best by reading the following truck comparison. Then, browse available commercial trucks in the inventory of our Ford dealership in Washougal, WA to schedule for a test drive. 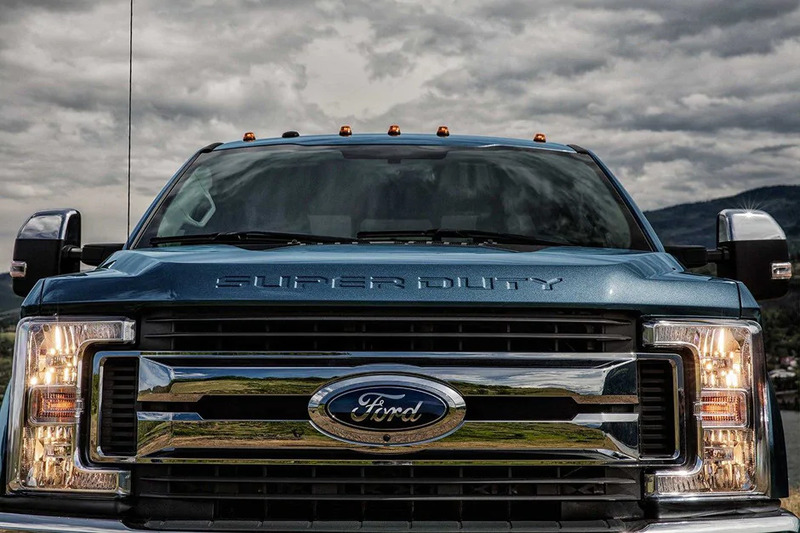 Even though Ford F-Series trucks and Chevy Silverado HD pickups offer powerful turbo-diesel and gas engines, the Ford Super Duty engine options come out ahead. Ford’s gas V8 engine produces best-in-class torque ratings, and the turbo-diesel engine produces best-in-class horsepower and torque. The Chevy commercial pickups aren’t nearly as capable. See for yourself in the following lists. Conventional Towing Capacity: 20,000 lbs. Ford and Chevy commercial trucks are available with high-tech features to help improve productivity, stay connected while you’re on the go, and keep you comfortable for hours at a time. Rearview cameras with hitch-assist features are available with both Ford and Chevy heavy-duty trucks, but the F-Series includes a front 180-degree camera that expands your peripheral view. Check out additional similarities and differences in the following list. Silverado HD trucks are available with a 4.2-in. 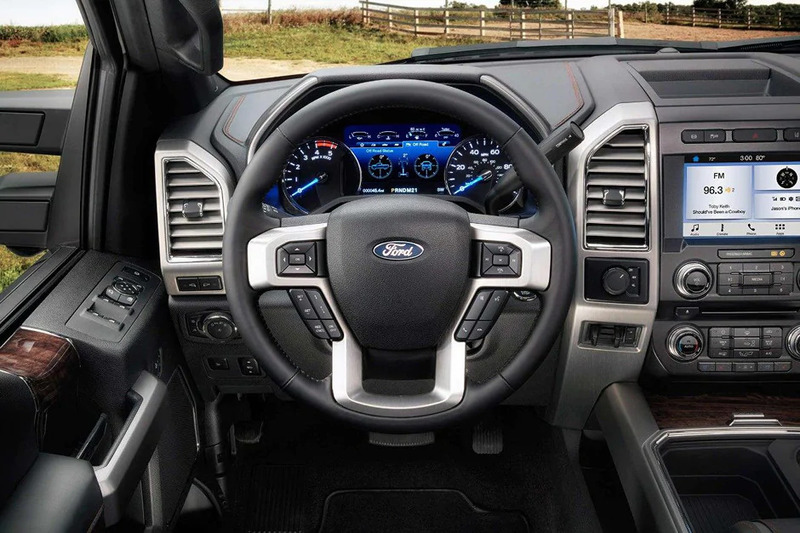 diagonal driver information center; Ford Super Duty pickups are available with an 8-in. productivity screen. Adaptive Cruise Control is a driver-assist feature that automatically adjusts the 2018 Super Duty series’ speed with the flow of traffic. This feature is unavailable with the Chevy HD pickup truck. Voice-activated phone and audio connectivity are available in Ford and Chevy commercial trucks, but the Ford F-250, F-350, and F-450 are available with voice-activated navigation too. 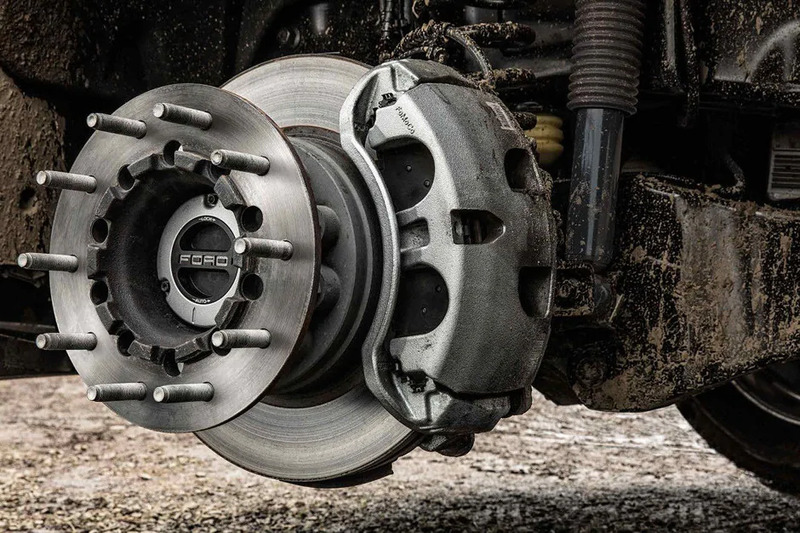 A work truck needs to be durable in order to be reliable. Ford and Chevy use fully boxed frames in their commercial trucks. However, the fully boxed ladder frame of Ford commercial trucks is 95-percent high-strength steel. As for the cab and box, military-grade aluminum alloy saves weight, is dent-resistant, and doesn’t rust. Chevy commercial truck bodies are two-thirds steel, making them heavy and prone to rusting. For a long-lasting commercial pickup truck, consider a Ford Super-Duty. Ford commercial trucks have proven their engines, body construction, and high-tech features are superior to the competition. You can see it first-hand with a test drive at Westlie Ford in Washougal, WA. Browse our commercial inventory and then schedule a test drive online or by calling our Ford dealership at (877) 299-1138.